You will need a sewing machine, cotton, pins, fabric and a ribbon. 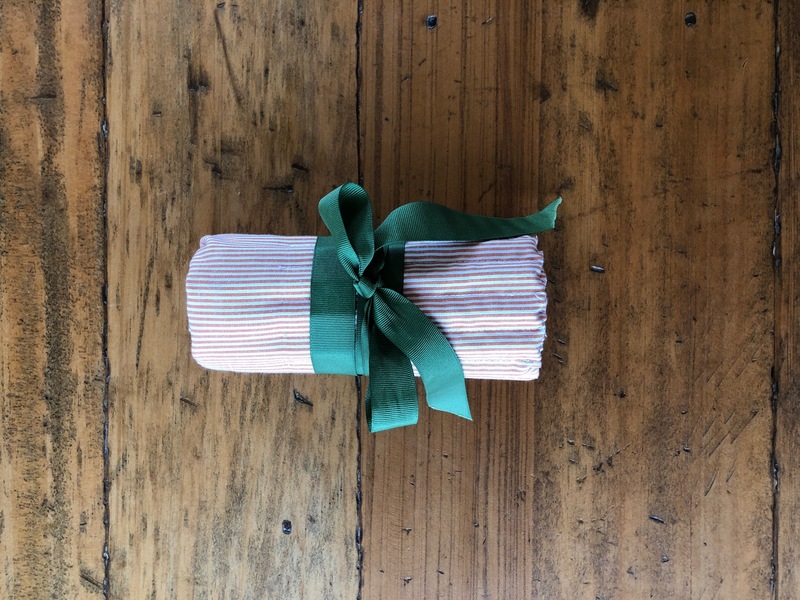 Gather together the pencils or crayons you want to keep in your roll to help with size. Lay out your fabric, ironed. Lay out your pencils / crayons approx 2cm from the bottom, and approx 2cm apart (with 2cm from the edge of fabric too). This will show you how long to make the roll. You need to allow just a little bit more than double the height of the pencils. Cut out two lengths of fabric this size. Pin and sew 3 sides together with the good side of the fabric facing in. Sew two thirds of the fourth side. Sew a zigzag to finish the edges to prevent fraying. Use the opening to turn it inside out so the good side of the fabric is now on the outside. Iron the fabric so the edges are neat. 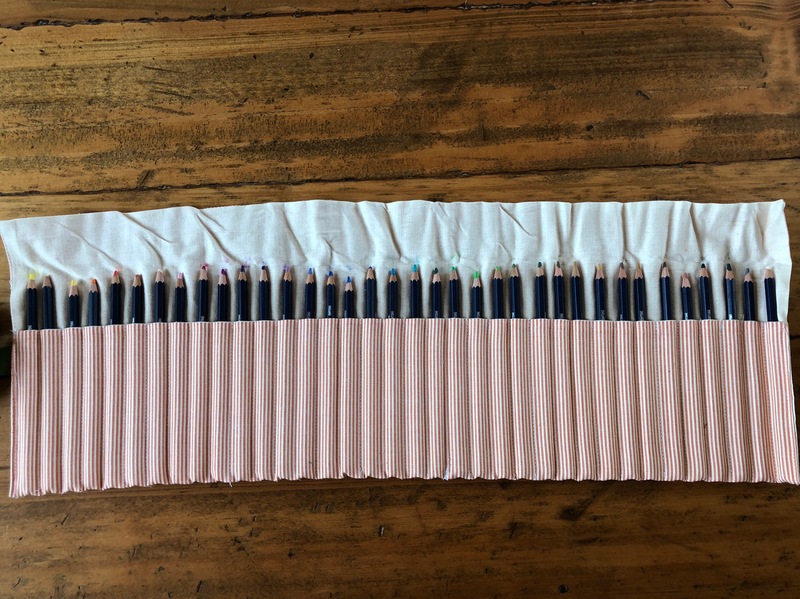 Fold up the bottom half of the fabric to house the pencils / crayons. Mark out 2cms all the way along the bottom with pins. Check the size, then sew up from the bottom to the top of the folded part of the fabric. Lastly, sew the ribbon into the two edges and sew up the opening you left to turn it inside out. Place the pencils / crayons in and roll it up!